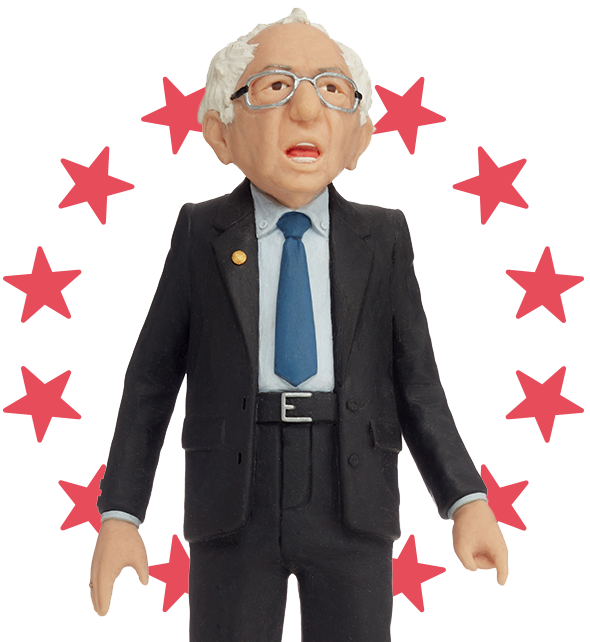 After blazing through our goal on Kickstarter, the Bernie Sanders Action Figure, much like his real life counterpart, has ignited the hearts of thousands of people across the world. 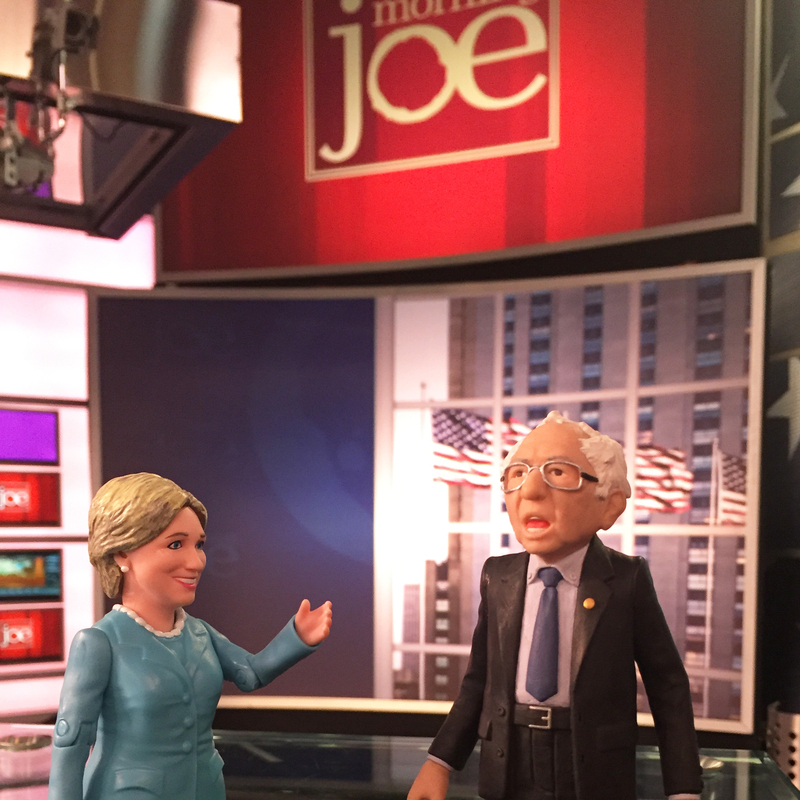 "The First Bernie Sanders Action Figure Has More Realistic Hair Than Trump." It goes without saying, Sen. Bernie Sanders is an inspirational figure. And as the creators of political action figures, the FCTRY team was inspired by his campaign to dream big. 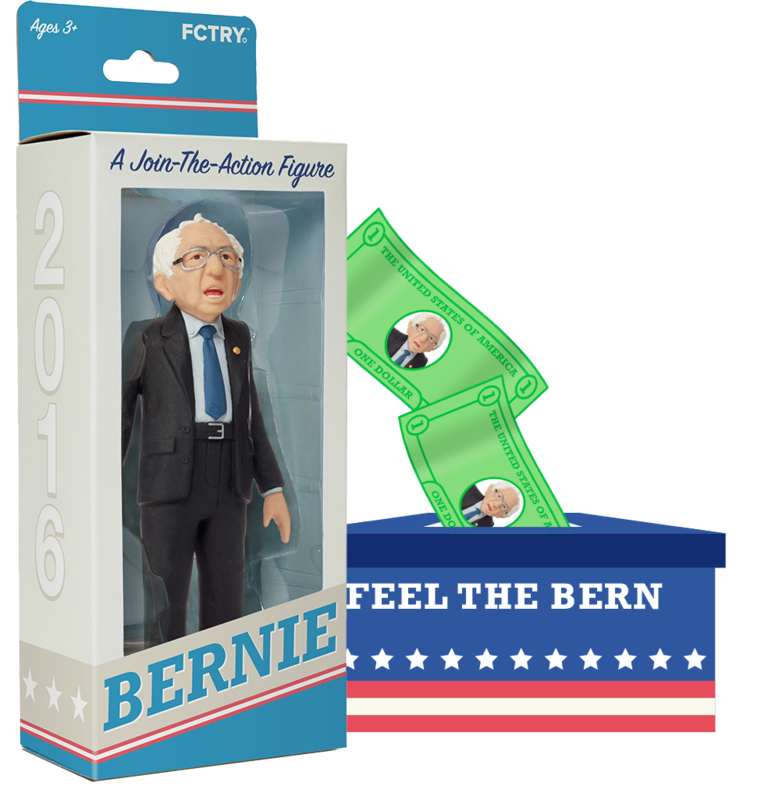 So back in February, we launched an unexpectedly popular Kickstarter campaign and Bernie's been making the rounds ever since. Over $2,300 has already been raised for the Democratic candidate's campaign, and we're just getting started! Action Figure designed and sculpted by Mike Leavitt. *4/1/16 through the election. FCTRY.com sales only. Political contributions are capped at the amount prescribed by law. Made with ♥ in Brooklyn, NY.